Happy Monday! It's the start of a fresh, new week! While it's easy to fall victim to a "case of the Mondays," I urge you to shake it out. Speaking of shaking it out, the three-part harmony of Glee's "Shake It Out" (Florence + The Machine cover) is probably some of the best harmony the show has ever had. And now, let's play catch-up, shall we? For starters, my new blog home! YES! I'd be lying if I said I didn't just look at my page many times throughout the weekend. Although I had a lot of ideas to share in the beginning, I wanted to see what she would come up with. While more feminine than I would have dictated for myself, I am so in love with my new design's crisp and light vibe. I also took this "clean slate" opportunity to update my Meet Lindsay and Blog Love pages. I loved working with Bobbi so much, and now I'm just sad that we don't have an urgent reason to e-mail, tweet, and joke throughout the day. B, thank you so much! You are awesome. If you are considering a redesign, please see Bobbi's Ready To Blog Custom Design page and some of her recent designs. She is also accepting entries for an amazing wedding photography giveaway until May 24! E-MAIL: ... when I saw this! Something to get your through your work day, since you do all of these things so well! Consider me blog-struck. The Kim Challenge is one of my all-time favorite reads. 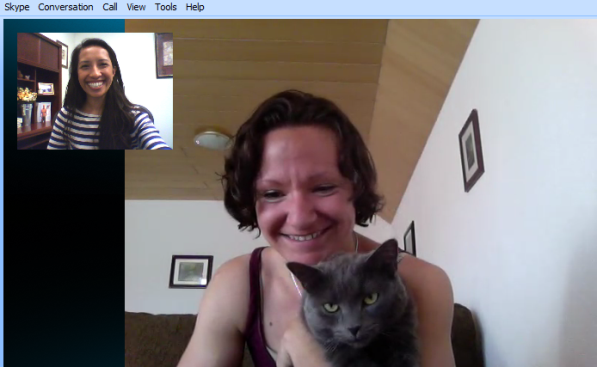 And yet another pick-me-up was Skyping with my IRL friend (and one of her cats) in Germany! Despite my absence over the last week, I was feeling a lot of blog love! My talented friend Kristen at Confessions of a Graphic Design Student has been refueling her love for drawing with weekly surprise sketches. It's a very neat way to document her practice, and I was one of her subjects! Check out Kristen's sketch of me! I was also featured in Joelle's "Happy Hour" feature at Something Charming. Joelle's blog is gorgeous which is no surprise considering she's a writer and event planner! And you already know about my adoration for Jamie at The Letter 4. She posted this sweet post about blog friends last week. Love it! And of course, I can't send you off without reminding you to support my mom and to join Emily and I for our Flaunt Your Cause link-up on May 17! It's a day full of inspiration and goodwill just waiting to happen! So... get to it! 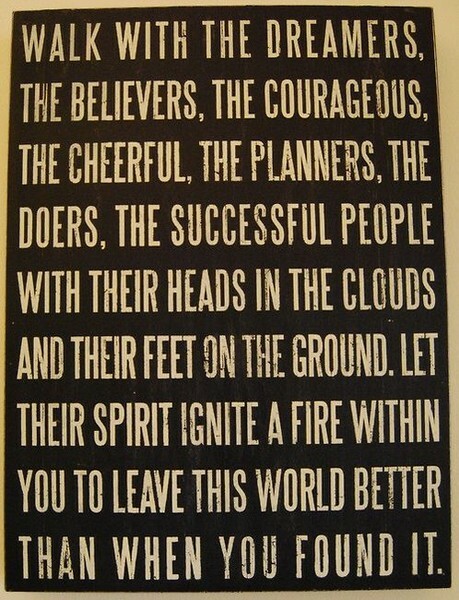 Have a spectacular week! You take a week off and become blog famous! I freaked out when I saw the sketch that Kristen did of you - UM can you say MAD SKILLS?! Obsessed with your blog design. Wow! Looks like you had an awesome week and weekend! I'll be sure to check out the awesome blogs you mentioned! I'M SO GLAD you're back!! I've missed my Linds! Also, I'm obsessed with your blog design as well! So pretty and so you. I want to get a professional design as well someday. Just not ready to fork over the dollar bills just yet, but I will sometime :) And I think I'll have to use the girl who designed your blog! you are adorable! and i love love the new blog look :0) so fresh!! I love your new blog look! It's so light and happy!! Which is why so many other bloggers love featuring you! Great new blog design girl! I can't wait to try the new buttons. Looks and sounds like you had an awesome week!